I found this leaf on a camping trip in the spring of this year. Near the fire pit at my campsite, it literally stopped me in my tracks. 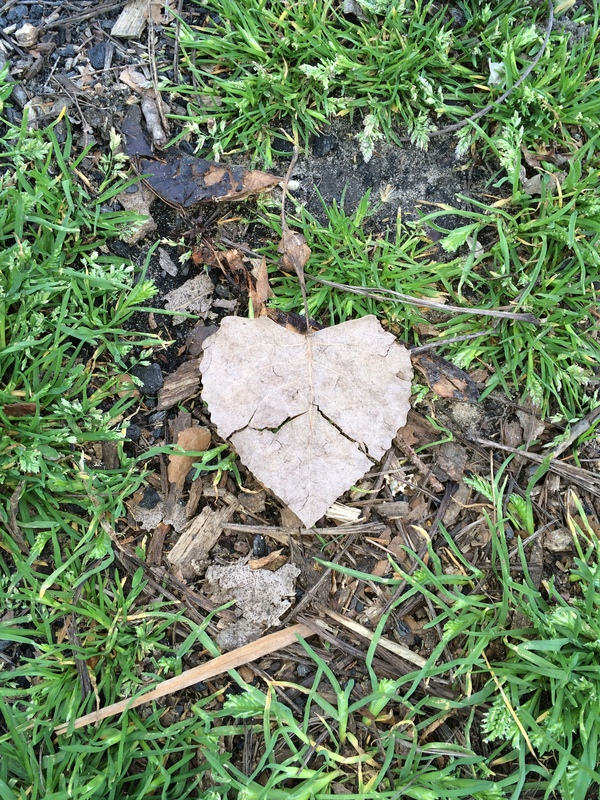 It felt like seeing my own heart, lying there on the ground. I was camping alone, in a relationship a man who ran hot & cold, and trying to find my way back to myself. It’s hard to find our way back to ourselves if we weren’t ever anything solid to begin with, isn’t it? We like the things our guy likes, his hobbies become interesting to us, and we just sort of dissolve into his life. What if it wasn’t like that? What if we had this beautiful, warm, loving life of our own and found a great way to merge our great life with his great life? What if we stayed ourself and he stayed himself and we just rolled along that way… supporting each other… loving each other… inspiring each other to be our best selves? Love does not have to come wrapped in pain.